Moving to Austria - Compare International Movers & Save up to 70% ! Intlmovers provides you with a fast and convenient service for obtaining international quotes for moving to Austria. You can save yourself considerable time and money by avoiding the chasing and shopping around. Intlmovers does the work for you! Submitting a request on Intlmovers will only take a few minutes of your time and you can request up to six international moving quotes six quotes simultaneously. The different movers will respond to you directly with a quote customized to your needs, so you can take your time and compare their offers easily. Remember when comparing quotes that not only the price is important. 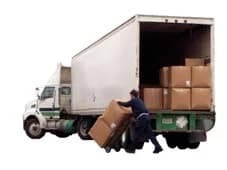 It is important to compare all the services that are on offer and included in the quote to be sure that you are getting the best value for your moving budget. If you need additional services such as packing and storage, be sure to compare the total cost for your international move to make a fair comparison. The republic of Austria (Österreich in German) is a German speaking country located in central Europe. Covering an area of nearly 84,000 square kilometers, Austria is a mountainous country due to its proximity to the Alps. Austria has a population of around nearly 8.5 million people. The capital and largest city is Vienna, with a population of just under 2 million people. Austria is a member of the EU, which means that holders of an EU passport do not require a visa for arrival in Austria. The time of stay is not limited assuming that your passport is valid. Further, Austria is a member of the Schengen Treaty. The Schengen area includes most of the EU countries as well as Switzerland. Holders of valid passports from the USA, Canada, Australia, New Zealand, Japan, Korea, Malaysia, Singapore, Israel and many of the South American countries do not need to obtain a visa for visits to Austria for a period of up to 90 days. Supporting evidence for your reason wishing to stay in Austria (touring, employment, etc. It is important to note that even if you do not require a visa, you are required to carry a valid ID with you at all times. The great thing about using Intlmovers to help you with your international move is that it is completely obligation free. You can submit a request and obtain free quotes to easily compare and contrast the different services on offer. However, you can rest easy because if you are not completely satisfied with any of the responses that you receive, you are under no obligation to accept any of them. For international moves from Austria you can also use our local international movers site (German).